I am loving this time of year! Our veggie patch is springing up & offering us many tasty treasures. I had to share with you the golden nuggets we unearthed yesterday! 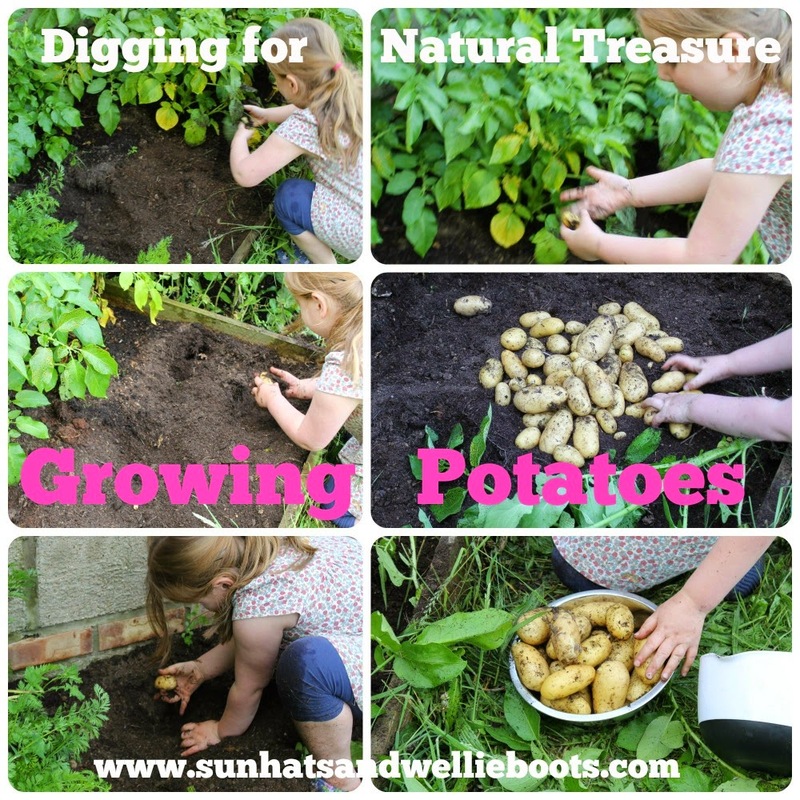 The excitement & joy of digging in the mud & discovering potatoes was just magic to observe! 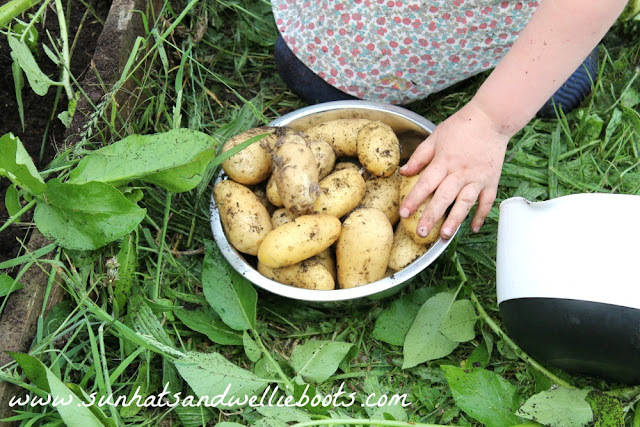 The squeal of joy as the first potato was unearthed was soon followed by many more as further treasures were found! It seems no time at all since we planted our seed potatoes earlier this year & we each made predictions as to how many spuds would grow from each potato. I think Minnie was astounded by the quantity & amazed at the variety of sizes she was digging up, they had certainly exceeded her earlier predictions. After some further collecting on the veggie plot we had some beautiful fresh ingredients ready for a tasty meal. 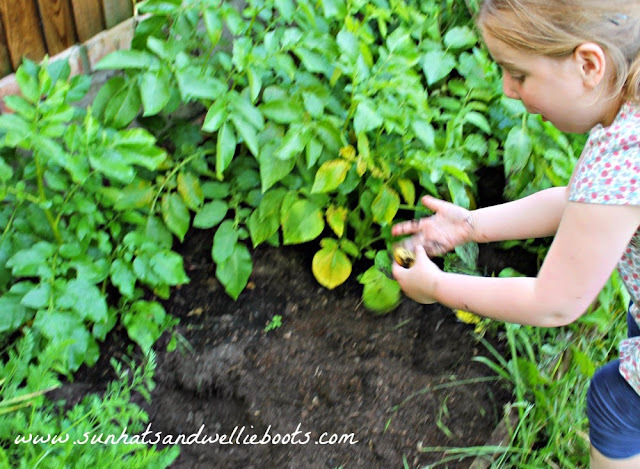 Potatoes are one of the easiest vegetables to grow with kids. Even with limited outdoor space you can produce a good crop, we grew potatoes in a large shopping bag one year! All we did was just add a few drainage holes to the base & some good compost & the plants grew really well. 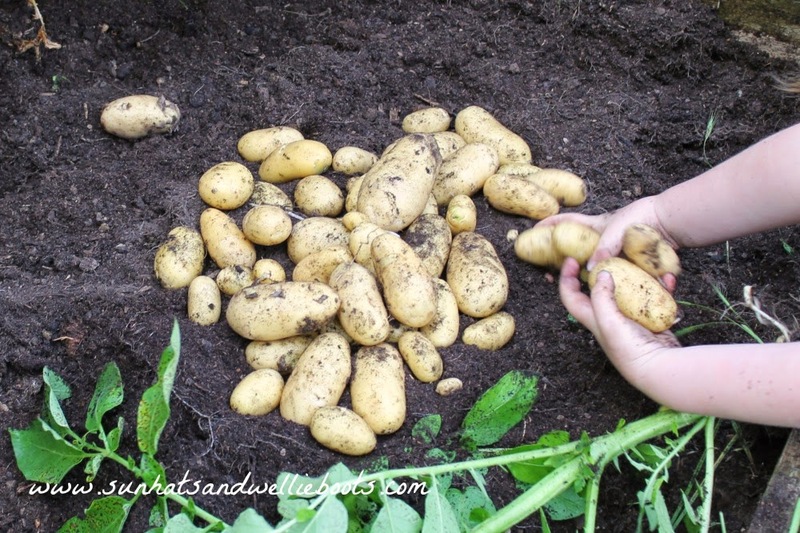 Potatoes just need a sunny spot, regular watering, & an eye kept on them as they start to grow. 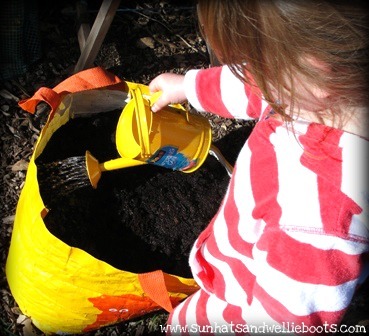 When the first green leaves appear, cover them over with soil & repeat as more leaves grow through the soil. If planting potatoes in March/April you should have a crop by June/July perfect for eager little gardeners to dig up in the summer. 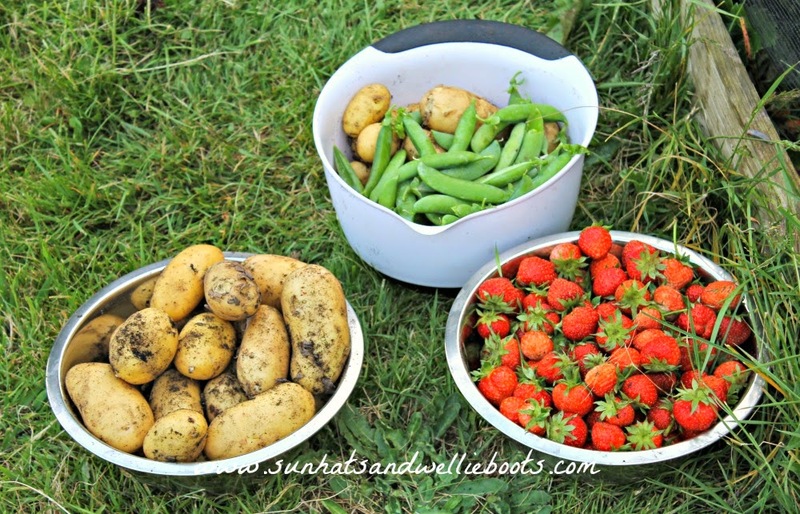 A few years ago I would've said there is nothing nicer than collecting veggies & fruit from your garden, but now the nicest thing for me is watching my daughter happily harvesting the crops she has planted, & listening to her infectious excitement & joy as she discovers what nature has produced!